Our proven Modular Drilling Rig (MDR) technologies are designed to service the platform drilling industry more efficiently and cost-effectively than fixed drilling facilities or Mobile Offshore Drilling Unit (MODU) for drilling, intervention and plug and abandonment (P&A) solutions. Our MDR solutions are an attractive alternative to expensive, fixed drilling facilities. Utilization of an MDR, in both Greenfield and Brownfield environments, negates expensive CAPEX investments and/or costly re- activation projects. Rental of an MDR also eliminates ongoing operating, maintenance and recertification costs on existing drilling facilities. Designed by operations and engineering personnel with a deep practical knowledge and experience in offshore drilling, the Emerald and Topaz rigs are a breakthrough in its category; an innovative, modular, state-of-the-art design that offers operational flexibility and cost efficiency unrivalled by any other mobile offshore drilling units in the market. To date both MDR’s have proven to be efficient and effective drilling, intervention and P&A systems have successfully delivered a series of wells up to 6.6 kilometers (>21,500 ft) and permanent P&A operations including multi casing & conductor string recovery beyond of customer expectations. 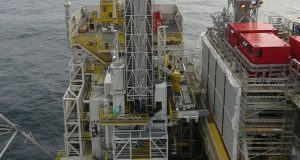 Built in accordance with the NORSOK D-001 Drilling Facilities Standard, the Emerald and Topaz operate in the harshest offshore environments in the world. In addition, the Emerald rig meets the requirements for a DNV-OS-E-101 Class rig. As a super-single rack and pinion rig, the MDR combines the very latest in drilling technologies in a lightweight, compact, modular package. Designed to operate as a stand-alone, it can be rigged-up rapidly on the majority of offshore installations providing complete life cycle drilling and workover services from initial well delivery right to plug and abandonment.